360°rotating of the welding head, facula adjusting by hand-moving. MOTIC microscope & liquid-crystal light-valve protector. Professional motion control system to achieve 3D moving by the industrial control rocker. Real-time currency feedback system to ensure the stability of the laser power. 1064nm laser wavelength, human harmless. Small heat-effect area, no distortion and stomata. Can repair crack, burst corner, die edge, and wearing seal edges. Entirely sealed control cabinet and optical path. 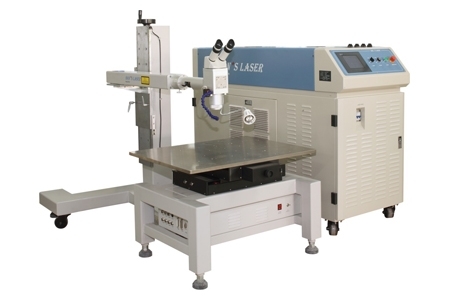 This model is suitable small or medium scale welding. It is widely applied on Titanium, nickel, stannum, zinc, copper, aluminium, chromium, columbium, gold, silver and their alloy and so on.